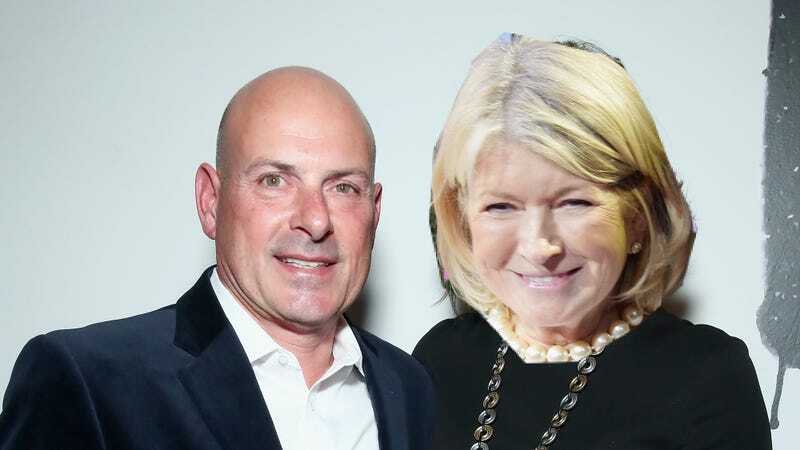 Wow, Now I'm Shipping Martha Stewart and Tom 'It's About Tom' D'Agostino? A few years ago, Martha Stewart had a period of very publicly talking about her singleness, which culminated in her going on the Today Show to meet some men she’d been matched with on Match.com (it’s morning TV; just roll with it). That seemed mostly in good fun, but the message was clear: Martha wants to find someone to love. Well it’s never been clearer to me than it is now who that person should be: Tom “It’s About Tom” D’Agostino, Countess Luann de Lesseps D’Agostino de Lesseps’s ex husband. The fittingness of this pairing dawned on me while I was reading this feature in New York magazine’s 50th anniversary issue, which brought rich and famous people back to the apartments they lived in when they weren’t rich and famous, and introduced them to the not rich and famous people who live in them now. One such pairing was Tom and Martha, because—did you know? !—Tom’s Lenox Hill bachelor pad (the one Luann gave Bravotv.com a tour of just months ago) was once Martha’s honeymoon suite that she shared with her ex husband. MS: That apartment was very beautiful and light-filled and airy — and all white, the way it was meant to be. Now it’s much more enclosed and dark! ... It’s not my style anymore. I was a little taken aback. TD: Martha baked me a beautiful apple pie with apples she had picked on her own farm, so we had coffee and pie together and spent an afternoon talking. She said the apartment was totally different and remarked what a wonderful renovation. MS: I knew Tom was on The Real Housewives [of New York City]. That’s not my cup of tea, but I know some of the housewives. I think he liked the fact that I brought him an apple pie. He still hasn’t returned my dish, though. Oh. My. God. This would not be the first time Martha has insulted the Real Housewives of New York; she once even did it to Luann’s face. Also auspicious for them: Tom loves blondes. It’s love!